Around a decade ago, entrepreneurs transformed airline ticket booking in India. Online travel companies like MakeMyTrip.com and Yatra.com started offering customers the ease of purchasing an airline ticket of their choice at the click of a button. In 2005, the Indian Railway Catering and Tourism Corporation, a government enterprise, enabled e-booking of railway tickets.Now a new breed of techies have transformed an even more fragmented sector in the country’s transportation industry — taxi services. What is it that the growing group of start-ups is trying to do? To begin with, they want to match supply and demand. “There is a lot of supply and a lot of demand for taxis in every city, but there is no platform that connects the two. We believe that technology can bridge this gap and add a lot of value to this space,” says Bhavish Aggarwal, co-founder and CEO of Mumbai based Ola Cabs. It is all possible because the current GPS technology is more accurate and affordable. Cab hiring has never been this easier and cheaper. In fact, taxis nearly match auto fares, sans the annoying rate-bargain exercise with drivers. Taxi aggregators like Uber, Ola, Taxi for Sure and Meru are making sure consumer is really the king. Instant service — cab’s right at the door in a few minutes — heavy discounts, promotions every now and then, and to top it all, convenience. A lot depends on how the technology-enabled players pan out their services to stay in the business and maximize profits. “Our technology enables an efficient marketplace — one where riders get picked up in an average 6 minutes and where drivers spend less time idle and more time earning money. In fact, drivers make more money, as they do more trips every hour. By facilitating more trips per hour, we enable drivers to offer affordable rides – up to 20 per cent cheaper than other options,” says Siddharth Shanker, General Manager, Uber Technologies, which claims 2.5 lakh vehicles on its platform aggregated in two years in India. 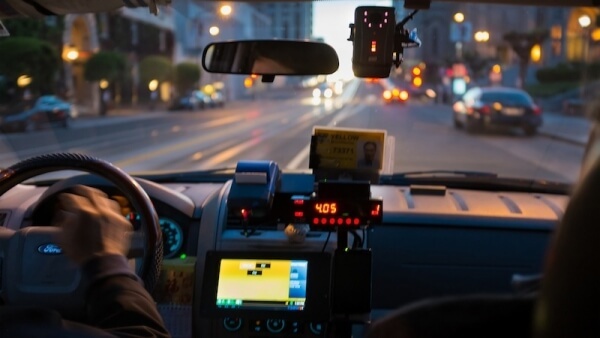 A customer can typically book a taxi through multiple channels — the aggregator’s website, its call center or through a mobile phone application. The driver gets the details of the customer and reaches the pick-up point at the scheduled time.Automatic Fare generation is done and payment settled through flexible modes,it also gives a way for clients to share the feedback and give away the ratings. Driven by nothing more than web access and smartphones, digital disruptors are everywhere.For now, taxi apps are perhaps the ultimate examples of digital disruptors. It allows people to track their taxi’s arrival progress and pay with a mobile phone. Now that’s transparency of the kind never seen before in the taxi industry, and it’s changed the business model.